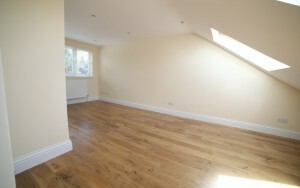 Loft Converters- Loft conversion london, loft conversion east london, loft conversion essex, loft conversion loughton, loft conversion chigwell, loft conversion walthamstow. 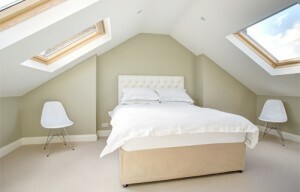 We specialise in loft conversions, in London from planning to build, from around £20,000 we can convert almost any loft. Truss roofs can also be converted, installing dormers and Velux windows, most lofts are able to have bathrooms and/or showers. Loft conversions have become the new alternative to moving, offering home owners the possibility of additional bedrooms, bathrooms, and more. And in most case`s require no planning permission, nor any loss of garden. There are certain requirements your property needs to meet to be able to have a loft conversion, see here to See if your property meets these. 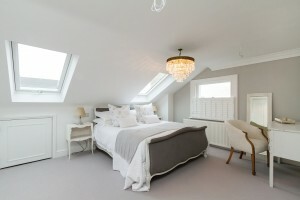 Can My Property Have a Loft Conversion..
Prices are based on per property, not any 2 properties are the same, however, to give some idea, the cost of the average Loft conversion is around £20,000 this price is based on average, depending on a number of factors, the cost to you could be more or less. W1U Marylebone Westminster W1W Great Portland Street, Fitzrovia Westminster W2 Paddington head district: Paddington, Bayswater, Hyde Park, Westbourne Green, Little Venice (part), Notting Hill (part) Westminster, Kensington and Chelsea W3 Acton district: Acton, West Acton, North Acton, South Acton, Gunnersbury Park, East Acton (part) Ealing, Hounslow, Hammersmith and Fulham W4 Chiswick district: Chiswick, Gunnersbury, Turnham Green, Acton Green, Bedford Park Hounslow, Ealing, Hammersmith and Fulham W5 Ealing district: Ealing, South Ealing, Northfields(part) Ealing W6 Hammersmith district: Hammersmith, Ravenscourt Park Hammersmith and Fulham, Hounslow W7 Hanwell district: Hanwell, Boston Manor (part) Ealing W8 Kensington district: Kensington, Holland Park (part) Kensington and Chelsea W9 Maida Hill district: Maida Hill, Maida Vale, Little Venice (part) Westminster, Brent, Camden W10 North Kensington district: North Kensington, Kensal Town, Ladbroke Grove (north), Queen’s Park (part) Kensington and Chelsea, Westminster, Hammersmith and Fulham, Brent W11 Notting Hill district: Notting Hill, Ladbroke Grove (south), Holland Park (part) Kensington and Chelsea, Westminster, Hammersmith and Fulham W12 Shepherds Bush district: Shepherds Bush, White City, Wormwood Scrubs, East Acton (part) Hammersmith and Fulham W13 West Ealing district: West Ealing, Northfields Ealing W14 West Kensington district: West Kensington, Kensington Oly W1U Marylebone Westminster W1W Great Portland Street, Fitzrovia Westminster W2 Paddington head district: Paddington, Bayswater, Hyde Park, Westbourne Green, Little Venice (part), Notting Hill (part) Westminster, Kensington and Chelsea W3 Acton district: Acton, West Acton, North Acton, South Acton, Gunnersbury Park, East Acton (part) Ealing, Hounslow, Hammersmith and Fulham W4 Chiswick district: Chiswick, Gunnersbury, Turnham Green, Acton Green, Bedford Park Hounslow, Ealing, Hammersmith and Fulham W5 Ealing district: Ealing, South Ealing, Northfields(part) Ealing W6 Hammersmith district: Hammersmith, Ravenscourt Park Hammersmith and Fulham, Hounslow W7 Hanwell district: Hanwell, Boston Manor (part) Ealing W8 Kensington district: Kensington, Holland Park (part) Kensington and Chelsea W9 Maida Hill district: Maida Hill, Maida Vale, Little Venice (part) Westminster, Brent, Camden W10 North Kensington district: North Kensington, Kensal Town, Ladbroke Grove (north), Queen’s Park (part) Kensington and Chelsea, Westminster, Hammersmith and Fulham, Brent W11 Notting Hill district: Notting Hill, Ladbroke Grove (south), Holland Park (part) Kensington and Chelsea, Westminster, Hammersmith and Fulham W12 Shepherds Bush district: Shepherds Bush, White City, Wormwood Scrubs, East Acton (part) Hammersmith and Fulham W13 West Ealing district: West Ealing, Northfields Ealing W14 West Kensington district: West Kensington,. Uk Small Business Directory! Builders Merchants Journal!